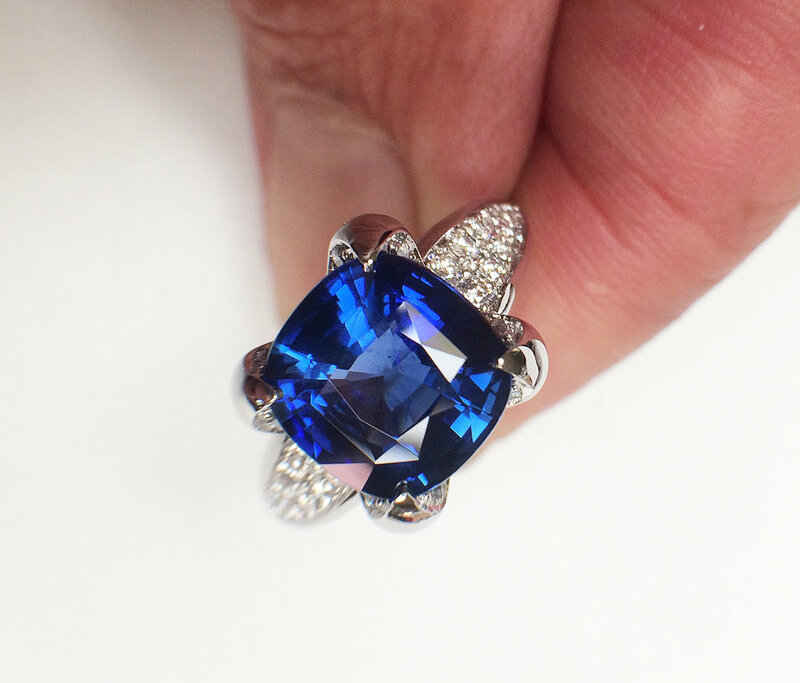 The opportunity to work with the David Gross Group beautifully cut and polished Sapphires has been a real privilege for us at the Gregore and Jennifer-Rabe jewelers workshop in Santa Barbara. I say this because many of the stones in the corundum family come with their native cuts. These are done usually to maintain weight to create more value. 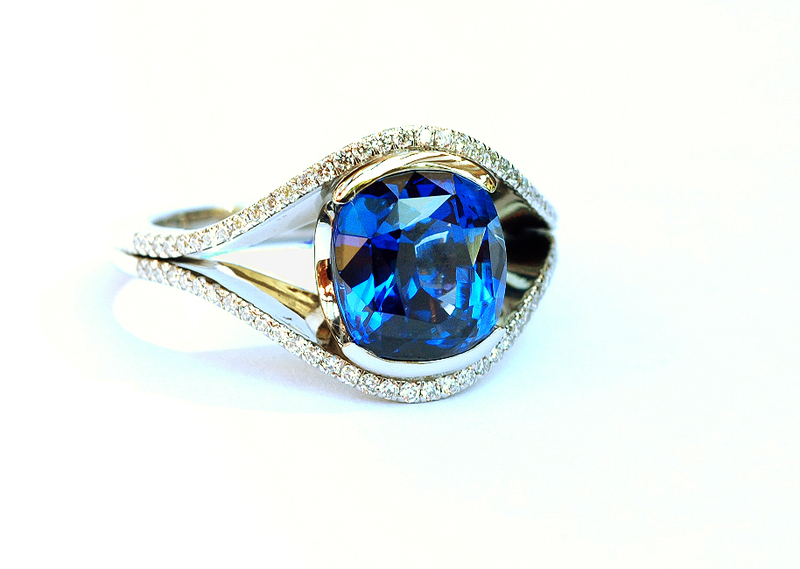 Still a well faceted stone has the hard edge brilliance that a not so well cut stone lacks. At the same time, great care needs to be taken while handling the stone during setting not to scratch it in any way, or it will be very obvious. and to add his unique flair, meaning a beautiful arc down under the stone or a lovely sweep of pave' around it. CAD is spectacular because you can really see a design before wasting metal. of course as always, the real magic is the finishing. We do have a reputation for fine finishes and precise setting. We love what we do and it shows. It helps that we are graced with good hand-eye coordination and the magnifying equipment to see very small detail. We also have a plethora of great finishing tools. Something we plan on marketing under our own label to help other fine jewelers like ourselves get the same results. Please call for inquiries. We choose to create designs that please our customers. At the same time we have each a separate line we will market through our shopping cart yet to come. We are artists who have the natural desire to create pretty things we love to share. Also any of the jewelry under each of our names represents our own work which is also available for sale just contact us!